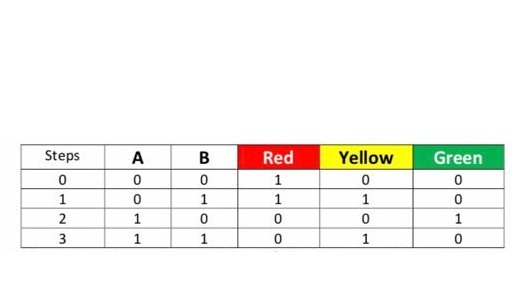 So I tried this but I was not able to get the last row, which is: While a =1 and b =1 ,yellow = 1 red = 0 and green = 0. This is my design for it, but I could not make the last row. Does anyone have a sample or a tip about what I can do to fix this? John wiliam is a new contributor to this site. Take care in asking for clarification, commenting, and answering. Check out our Code of Conduct. Purple is the implied logic for the red light, orange is the implied logic for the yellow light and green is for the green light. One OR gate and two inverters would do the trick. I do have a tip for you! Work column by column, not row by row. 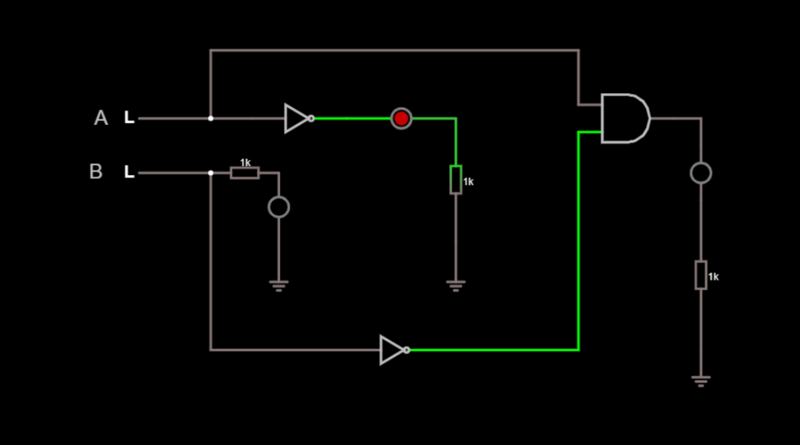 First, create a circuit for the red light, ignoring the other two lights. Next, do the same for the yellow light. Finally, do the same for the green light. After you've created these three circuits, you can simply combine them into one. I know a program like this is no substitute for real knowledge, but it works for a home fiddler like me. John wiliam is a new contributor. Be nice, and check out our Code of Conduct. Not the answer you're looking for? 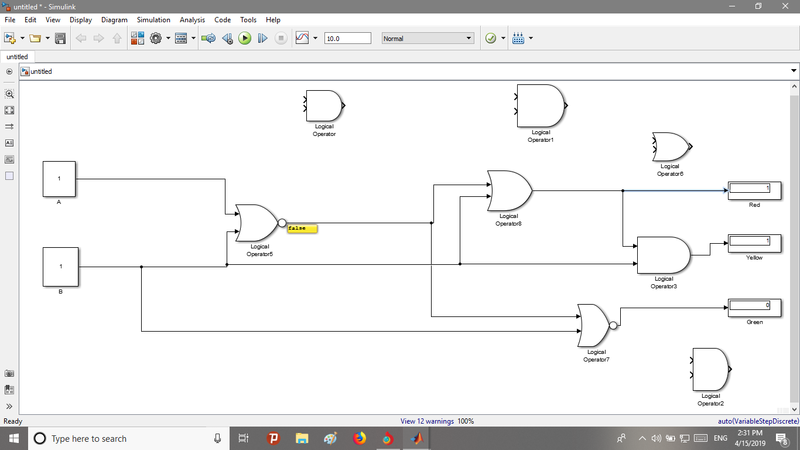 Browse other questions tagged logic-gates simulink or ask your own question. What operation does this circuit perform? 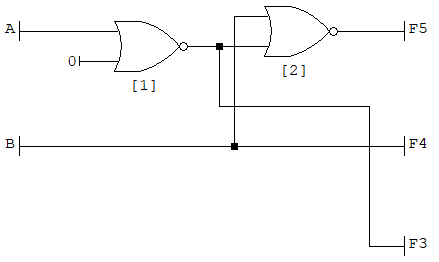 Logic Gates - Did I connect them correctly?